I made a parenting decision recently that I really didn’t think I’d ever make. Or at least not till my kids were, like, 35 or something! I gave my 6 year old a mobile phone. I gave her ‘her own’ phone because while most families have grandparents and aunts and uncles that can pop round for tea from time to time, my children have none of that. Sure they have families, but no one comes round for tea at the drop of a hat because we’re separated at the minimum by a 12 hour flight. But that’s no reason the kids shouldn’t be able to have daily, at the drop of a hat, contact with their family. So, I made the decision to give them my phone when I upgraded recently, but it wasn’t a decision I made lightly because young they may be, but within days they were downloading apps and recording things – the six year old even joined Flipagram and I was scrambling for an account so that I could keep an eye on her! I have to be honest and say that no, I don’t really believe that my six year old is entitled to any privacy where her online life is concerned, and though she asks repeatedly, she isn’t allowed a Facebook account or her own YouTube channel yet. These are limits I have set. Her phone also only works on wifi, so there’s no need for her to take it out of the house. Another limit I have set. And that’s the main lesson I’ve learned in giving my child freedom to own and be part of technology: That I can and must set limits. Not long after I was grappling with how exactly to protect my child online, I was invited to find out more about The Right Click campaign with BT. 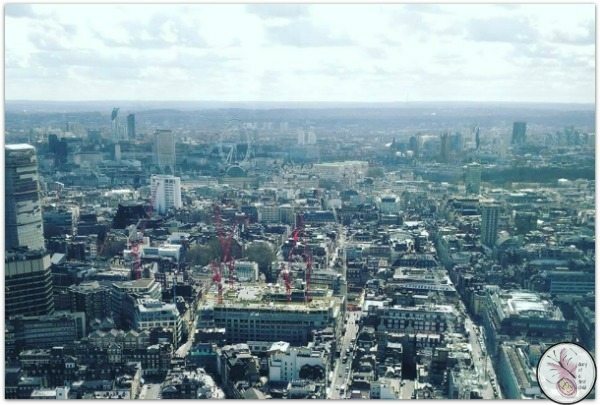 We went off to the BT Tower in London – what a treat that was! We even received a certificate to say that we’ve been to the rotating restaurant up at the top! – to find out more about the campaign, and I’d encourage all parents to visit The Right Click:Internet Safety Matters and find out more. 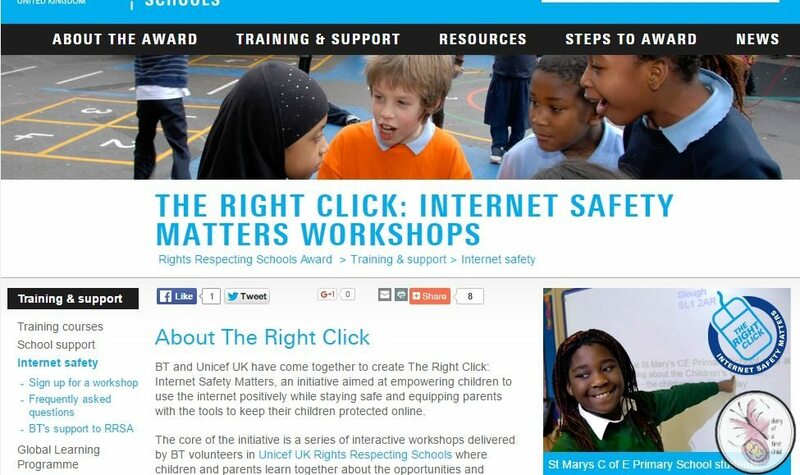 The Right Click campaign is an initiative by BT and Unicef UK aimed at empowering children to use the internet positively while staying safe and equipping parents with the tools to keep their children protected online. As part of this they will come to your school or group and talk to children about internet safety. You can find out more about that service here. The workshop they do with children shows them amazing statistics from their research into this area, and it’s quite eye opening for us too. I specifically found it interesting to note what the kids themselves have to say about social media. 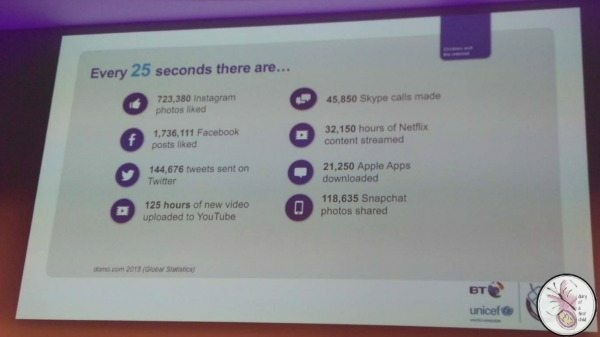 While this is fantastic, I think it’s really important for us as parents to take responsibility for our children’s internet safety, and while it can feel tedious – seriously, I cannot figure out Snapchat! – we do need to stay current and up to date with what they are doing if we hope to keep them safe. As they become teenagers, it may be harder to do, but if you set an expectation of awareness from the outset, I suspect you’ll get away with it for a while longer than if you don’t. At the moment my daughter’s Flipagram account says ‘my mum checks my profile every day’ right up there in the profile, so anyone who wants to comment or interact knows about it from the the get-go. Some of the things parents can and must do, however, is to familiarise ourselves with parental controls on our network settings, parental controls on our computers and other devices – I really love Kindle’s Freetime App for this – and making sure that SafeSearch is set on things that can search the internet. While it’s not fool-proof, YouTube has a ‘Restricted Mode’ opt-in setting and games consols have some options too. Even your mobile phone – or your child’s can be controlled through usage controls, content filtering and location and monitoring settings. 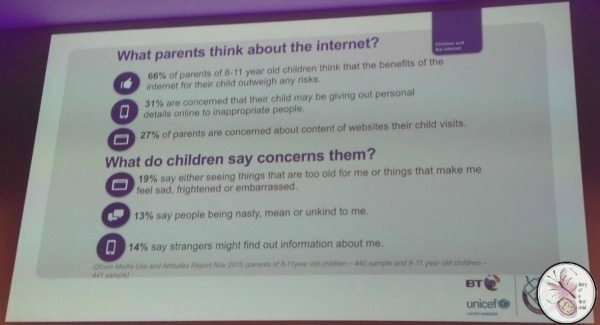 Children are supposed to be around 13 years of age to use Facebook and Twitter and many other social media applications, and you can help your child by checking their privacy settings, and always, always, always switch off in-app purchasing, and add a password for purchases too – this doesn’t have to be to prevent purchases, but to prevent accidental purchases! I switched mine off at one point and my daughter bought £35 worth of lives on the Frozen Free Fall game! Not her fault at all, really – she didn’t understand that it was actual real money changing hands. Along with Internet Matters and Internet Watch Foundation, I think The Right Click is a valuable service to help children understand not only the risks, but to understand that the virtual world is also the real world in a lot of ways, and just as you wouldn’t leave your front door open for any stranger to come on inside, you also don’t want to do that on line.